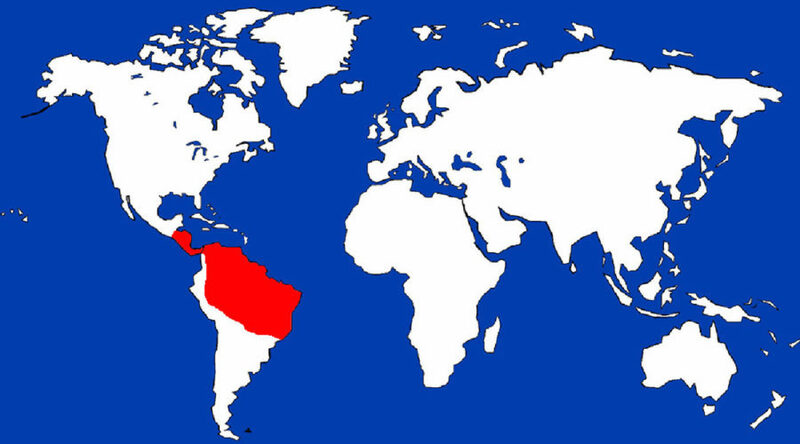 Amazonian Basin as well as Central America. Slight guinea-piggish in appearance, these medium sized rodents have coarse, glossy fur that is a mottled golden-brown. Hairs on the back are longer than normal and may raised when the animal is alarmed or frightened. About the Animal: Agoutis belong to the rodent family, and have the characteristic typical of all rodents: constantly growing teeth. All rodent teeth grow constantly – hence the propensity of rodents to chew all the time. 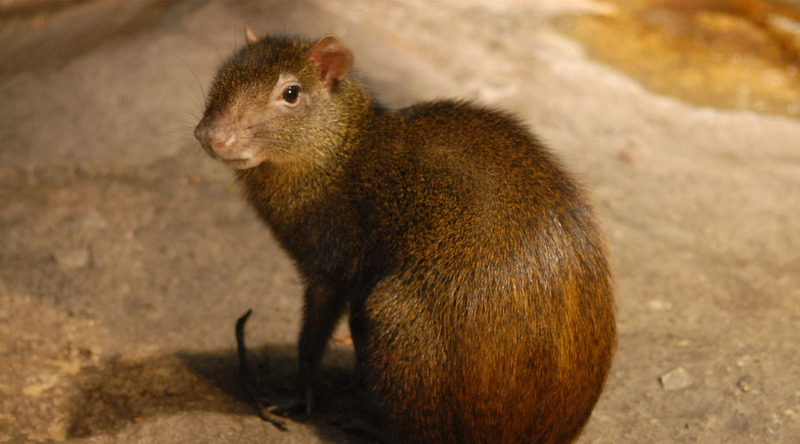 Agoutis prefer to live near water and are can be found near any source, regardless of size from lakes to tiny streams. This allows them to inhabit a wide variety of areas. Like most rodents, they construct burrows wherever they can – for example: among boulders, under tree roots and in riverbanks. Although essentially diurnal, when near humans, they tend to use the cover of darkness to forage for food. Mating and Reproduction: Like all rodents, agoutis are capable of producing an amazing number of offspring in their lifetime. Although they have only one or two pups at a time, they can produce two litters a year. In times of plentiful food, all young will survive to reproduce the following year. Amazing Information: Agoutis enjoy a special relationship with the Brazil Nut Tree. Their strong jaws and teeth are able to break open the incredibly hard seedpod to reach the nuts inside. They will eat most of the seeds, but some are carried away and buried or ‘cached’ for later consumption. Those buried nuts are often forgotten and instead produce new nut trees.